Superannuation savings, when combined with the old age pension, may provide a satisfactory standard of living for 10, 15 or 20 years. But as time goes by, assets dwindle. Statistics show that over time, many retirees become progressively more reliant on the old age pension. Many self-funded retirees become part-pensioners; and many part-pensioners become full pensioners. Older retirees may need to rely on financial support from other family members. 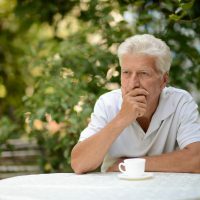 Retirees are naturally worried about outliving their savings – a concern which has been intensified by various proposals to tighten the means tests and reduce the rate of annual indexation of the old age pension. Retirees could protect themselves against longevity risks by buying lifetime annuities from life insurance companies. But these products are generally unattractive to retirees. Despite the determined marketing efforts of life insurers, sales of such products remain quite low. Rice Warner’s submission to the Financial Systems Inquiry points out that these products are expensive and illiquid – if an emergency arises, then people can’t withdraw money from a lifetime annuity. Furthermore, people may well be wary of entrusting their life savings to an insurance company which might not be in business in 30 years’ time. Professor Piet de Jong from Macquarie University has suggested an innovative approach to the management of longevity risk: a survivor/mortality bond or SM bond. These are bonds which would provide a government-guaranteed income for those who survive to advanced ages. The income from the SM bonds would supplement the old age pension, providing a better standard of living for the elderly and reducing reliance on financial support from family members. Suppose Joe is a 50-year old planning his retirement. He can divert part of his superannuation savings into buying 30-year SM bonds, which are fixed interest bonds issued by the Australian government. Each year Joe would receive interest payments on his investment (i.e. coupons), and these would supplement his retirement savings. If Joe dies before the maturity date, the money goes into a mortality pool administered by the government. The money in the mortality pool is shared pro-rata among all the bondholders or their heirs, if they have died. This can provide quite attractive returns to those who survive. For example, suppose that 100 men buy SM bonds at age 50. Suppose that 60 of them survive to age 80 and 40 die before they reach age 80. Each survivor will receive $100 as his S-payment, plus $40 from the mortality pool as an M-payment. The heirs of the deceased bond-holders will receive $40 from the mortality pool as the M-payment. Effectively, each SM bond-owner is betting on his own survival. If he wins the bet, he receives a higher benefit payment. Of course there is a downside. The higher benefits paid to the survivors are funded by reduced benefits payable to the heirs of those who die early. That is, those who die early will leave smaller bequests to their heirs compared to keeping all their money in an account-based retirement product, for example. On the other hand, those who survive to advanced ages would have additional income and would be less reliant on the government and their families for financial support. Ideally, people will buy a series of SM bonds. A person who buys some 30-year SM bonds each year, at ages 50, 51, 52…. will receive an income stream on survival to age 80, 81, 82 and so on. Each year, each person can choose to buy the amount of SM bonds suitable for his own needs. The SM bonds would be held by his superannuation fund, as a separate investment class. For example, Joe’s superannuation fund might own a mixture of shares, property, cash, and SM bonds. SM bond income would be paid directly into the superannuation account. An investor would not be able to sell his entitlement to the S-payments – the S-payments would be “locked in” at the date of purchase. However, the investor would be able to sell his entitlements to the annual interest payments and sell his entitlement to a share of the mortality pool, at any time. This would be achieved by dividing the SM bond into two components – the S component, which must be retained, and the M component, which can be sold if the investor needs cash. Eventually, M components could be traded on the market, just like any other security. Professor de Jong argues that SM bonds would be more attractive than the traditional lifetime annuities sold by life insurers – they would provide government guaranteed income for older Australians at a lower cost than traditional annuities. The Financial System Inquiry has pointed out that Australia needs better products to help retirees deal with longevity risk. SM bonds might be a step in the right direction. However, the development of SM bonds will ultimately depend on the government’s willingness to support an innovative concept with long term benefits for the community. Shauna Ferris is a senior lecturer at Macquarie University Faculty of Business and Economics.